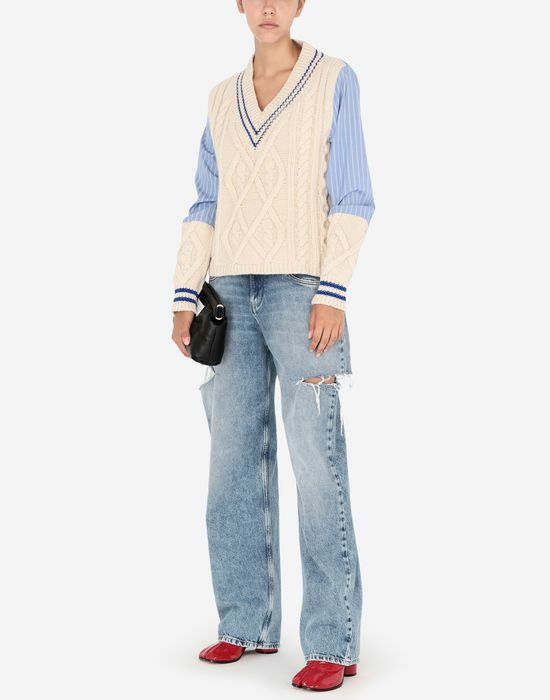 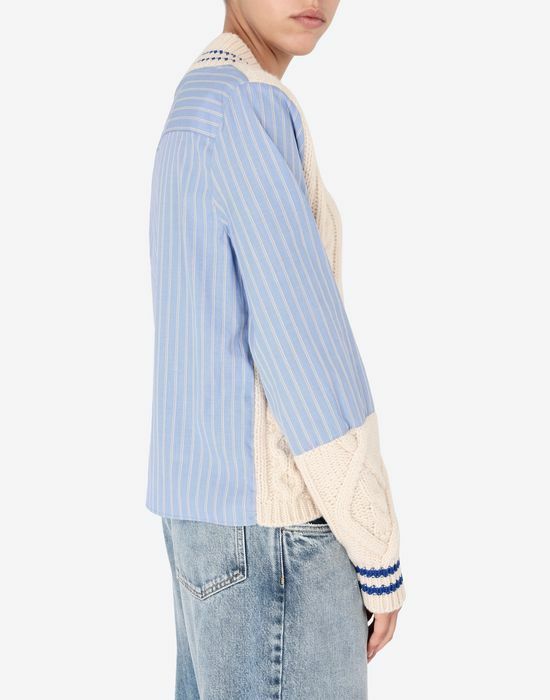 A directional top from the autumn-winter collection sees the reworking of two classic pieces, resulting in heavy knitwear paired with a traditional blue and white pinstripe print shirt seen on the upper arms and across the back. 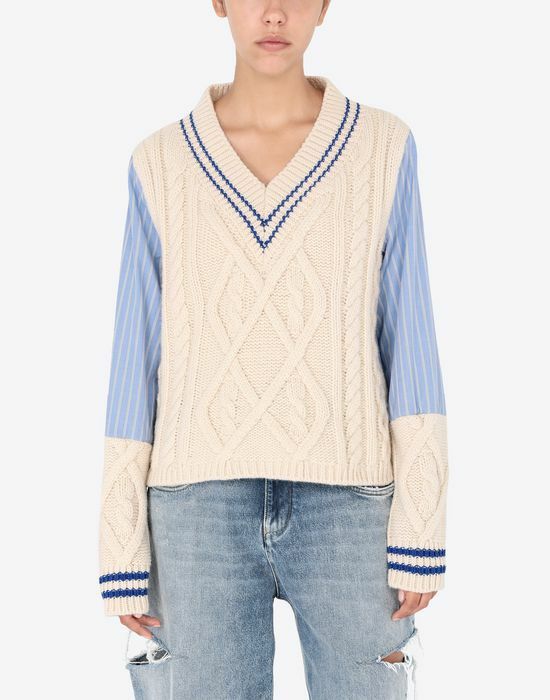 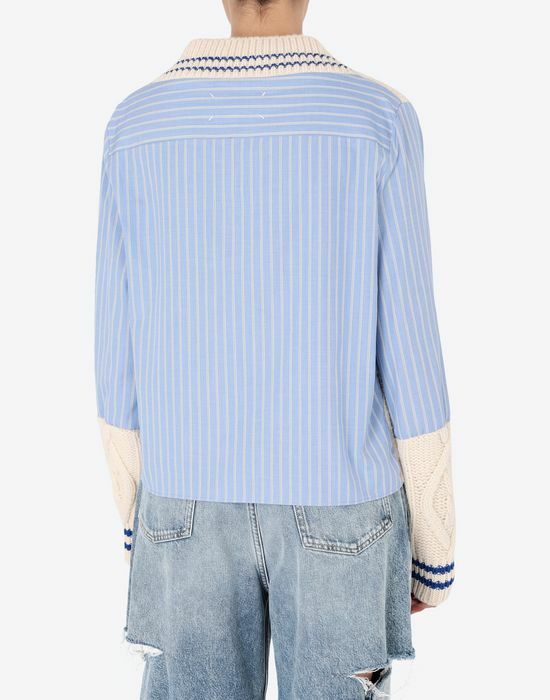 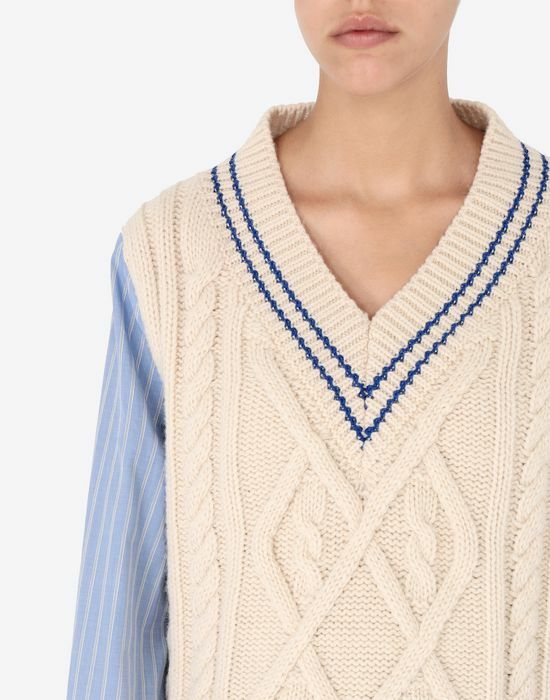 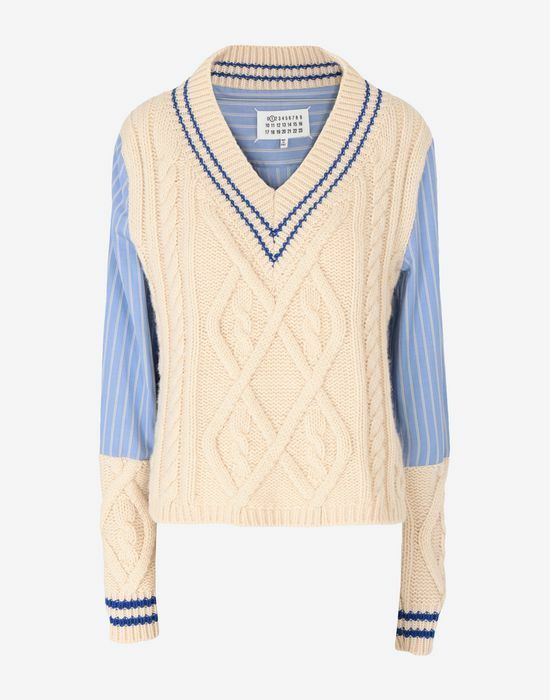 The cream knit, with a décolleté front, also features a sports stripe graphic in a pop of bright blue. 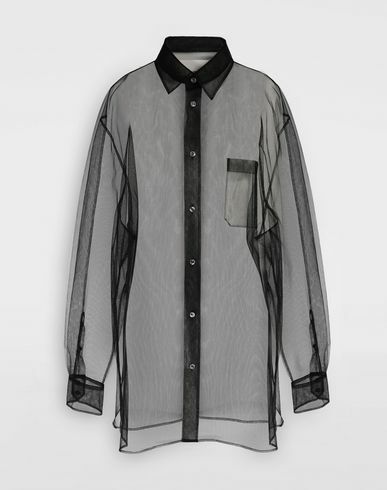 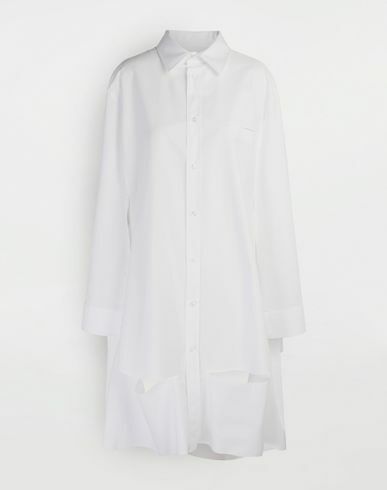 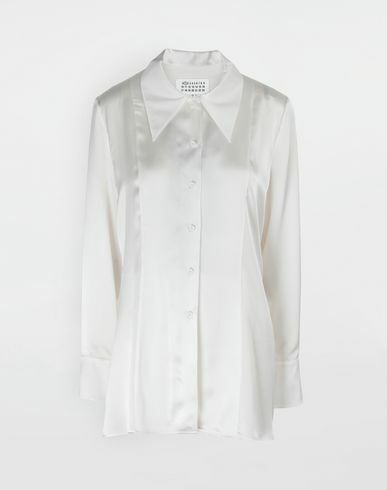 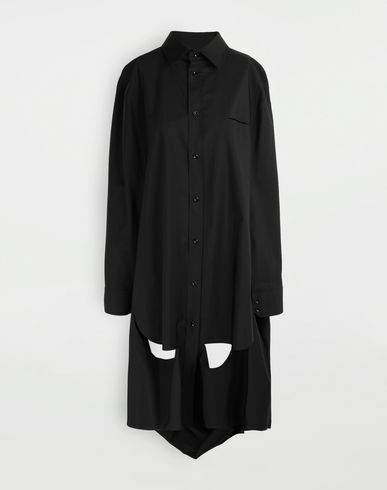 The piece has long sleeves and falls at hip length.